The United States has deployed a fleet of robot subs in the Gulf amid concerns that Iran will block the Strait of Hormuz. The United States has deployed a fleet of robot subs in the Gulf to prevent Iran from blocking the strategic Strait of Hormuz with mines in the event of a crisis, officials said Thursday. A Navy official told AFP that the “SeaFox” drone “has been deployed in the Fifth fleet AOR,” which includes the Persian Gulf and the Arabian Sea. The undersea drone is about four feet long and equipped with a camera and sonar. It is guided by a cable from a ship. AFP reported that German manufacturer Atlas Electronik says the drone has a range of about 3,200 feet and carries an explosive to destroy mines. “SeaFox devices will be employed from MCMs,” or mine counter-measure ships, in the Persian Gulf, the Navy official told AFP. 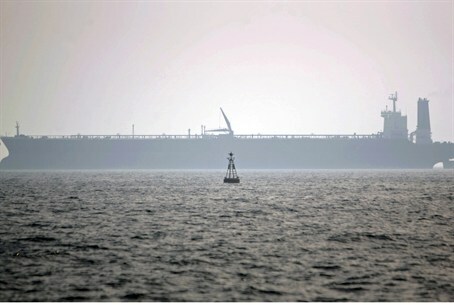 Fears of a closure of the Strait of Hormuz, through which about a fifth of the world's traded oil passes, intensified earlier this year after Iran threatened to close it if Western governments kept up efforts to rein in Tehran's controversial nuclear program by choking off its oil exports. In response, the U.S. military has been bolstering its presence in the region. It sent four mine sweeper ships in early June, joining four other mine sweeping vessels already in the region, according to the Fifth Fleet. The Navy also has MH-53 Sea Stallion helicopters and USS Ponce, an old amphibious warship that has been converted into a “floating base,” stationed in Bahrain, home to the Fifth Fleet headquarters. Iran has an arsenal of about 2,000 sea mines that can be laid by any one of its dozen submarines or its many speedboats. U.S. “bases are all in range of our missiles, and the occupied lands [Israel] are also good targets for us,” according to Revolutionary Guard commander Amir Ali Hajizadeh.